The veggie burrito is humungous I was not able to finish it. However I found that the veggie burrito I had from Baja Buds are more flavorful than this one. 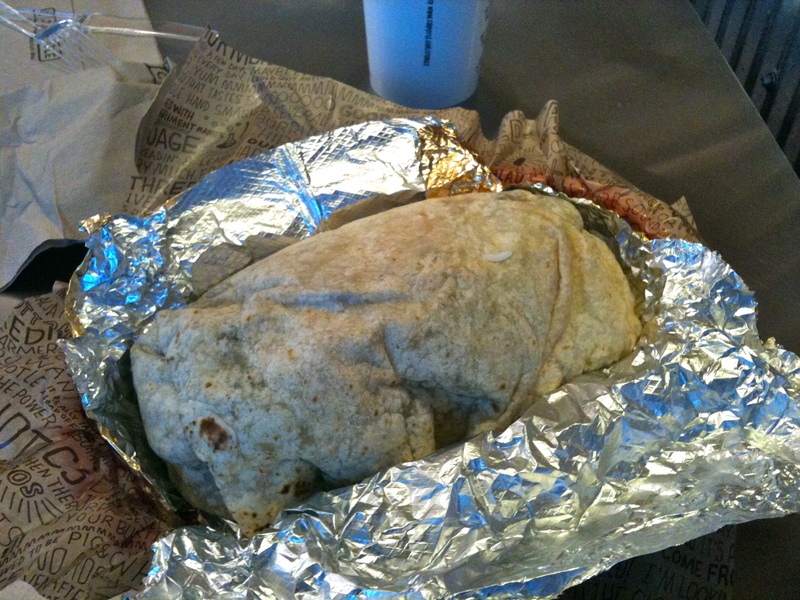 In any case, you will get your money’s worth on this burrito and I can actually eat it for 2 meals. This is not a healthy day, due to the busy-ness at work, I forgot to eat lunch. Funny thing is I was not actually during the day. Mental note: not health, don’t do it again.